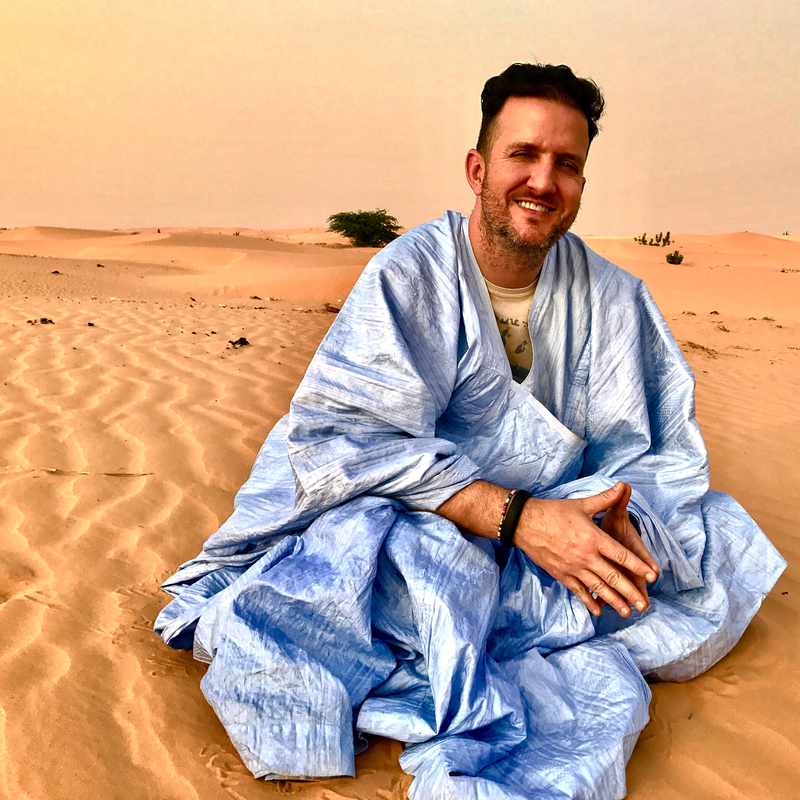 To date, I’ve been to Morocco three times–more than any other African country I’ve visited, and each time was completely different…all great times that seemed to be getting better each visit. 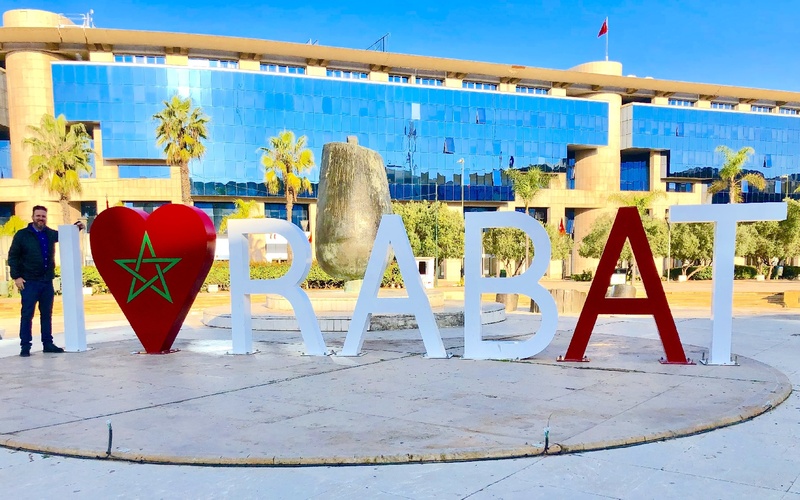 IMPORTANT NOTE: This first visit was part of a 12-chapter series on my trip to Africa: Morocco was the eighth country of twelve African nations I visited in December of 2016. It’s best to read the chapters in order, as they build on one another. To see countries number one through seven, please go HERE. It’s best to read the stories/countries in order. I awoke to a Charlie Chaplin film being shown on the overhead monitors; I thought that was cute, and very random. 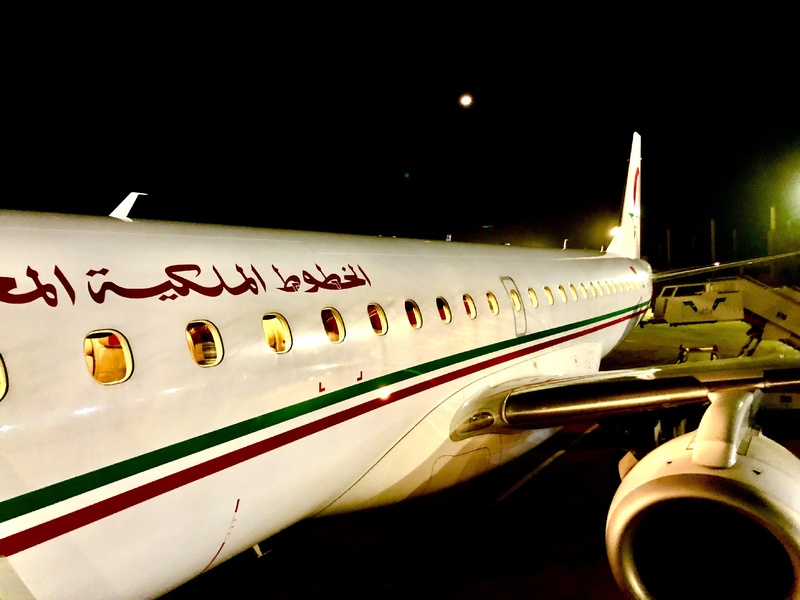 I’d slept for more than half of the four-hour overnight flight from Abidjan, Ivory Coast to Casablanca, Morocco. 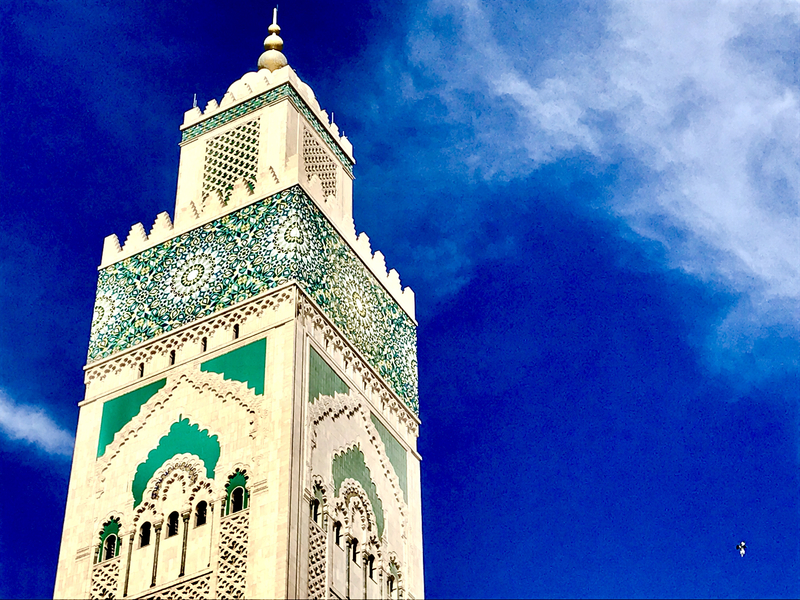 Morocco was actually a layover—I’d have 14 hours in Casablanca before the second leg of my journey continued, to Nouakchott, Maurintania. A couple Looney Toones programs played before we touched down at around 6, still dark but I could see the first glimmer of dawn on the horizon. 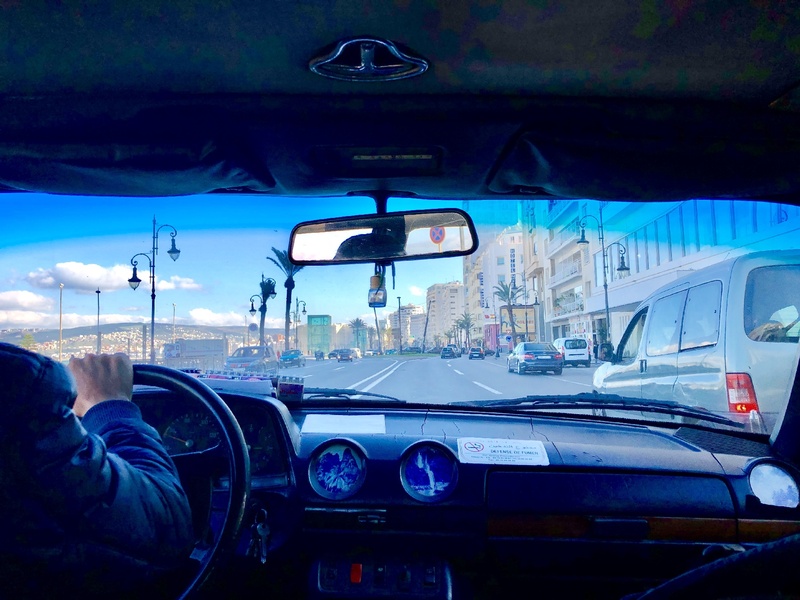 My cabbie Harris, who looked like a genie but wearing street clothes, sped down the highway in our Mercedes taxi as I looked out the window feeling grateful to be in a developed country again. I’d spent the last 10 days in countries where people lived in huts and walked down dirt roads. It was a cool departure from real life but started to wear on me. 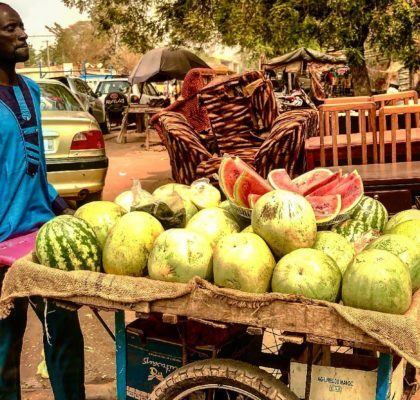 You really take things like traffic signals and pavement for granted, until you’re in West Africa for a two weeks. 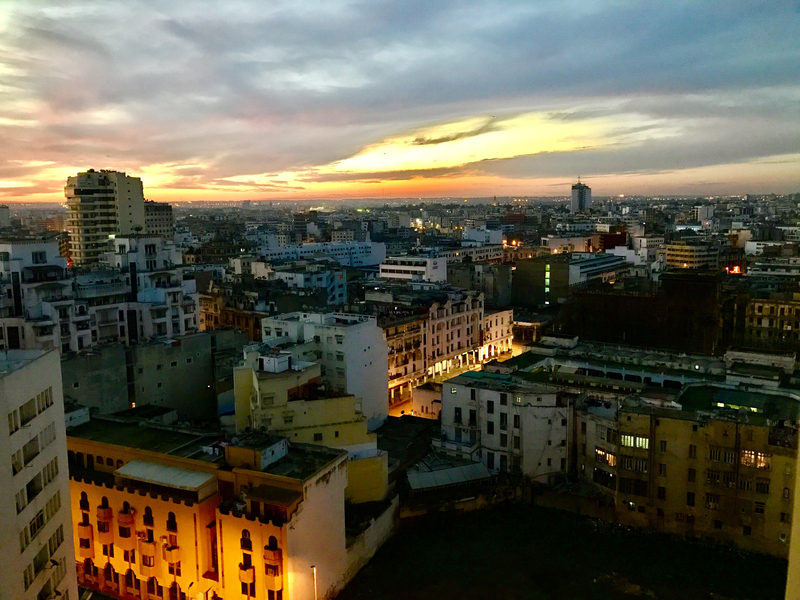 View from my room: Casablanca at dawn. Harris dropped me off at the Sheraton Towers for breakfast and a nap. He overcharged me but I was too tired to argue. I awoke around noon and headed right out to explore. There was no time to shower. I again marveled at being back in a big city with real infrastructure; here there were sidewalks and skyscrapers, wow! I felt like I’d been out in the sticks forever. I also noticed the people turned from Black to Brown and I heard more Arabic than French. This was Northern Africa, a whole different ballgame. It was cool to be back in a developed city, with paved roads and big buildings. 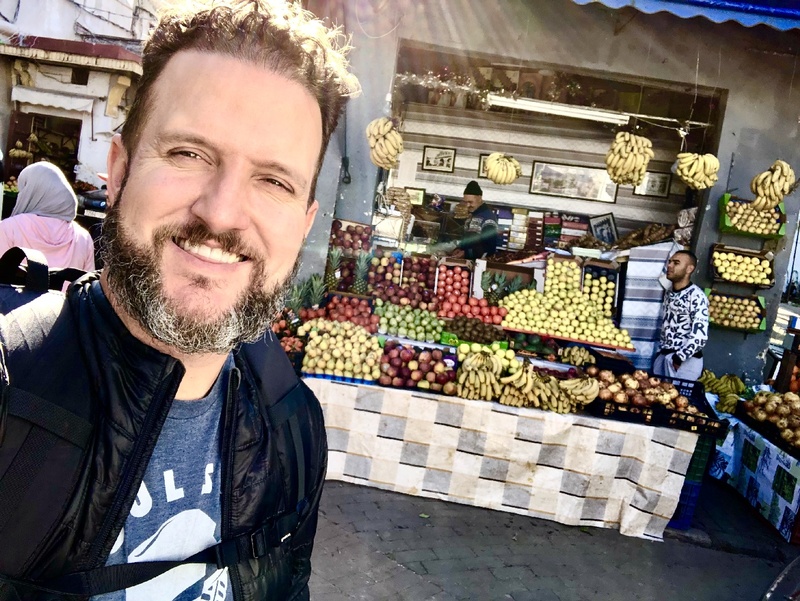 My first stop was into the Medina where I was immediately greeted and semi-held hostage by a man who wanted to show me around. 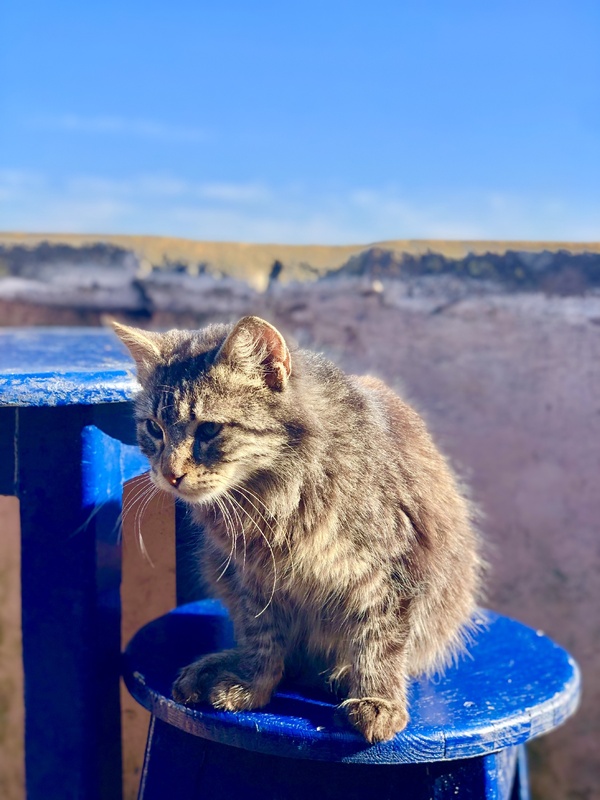 I thought I’d learned my lesson in Cape Verde, but he was so insistent—close to begging—so I ended up letting him usher me into a couple stores. 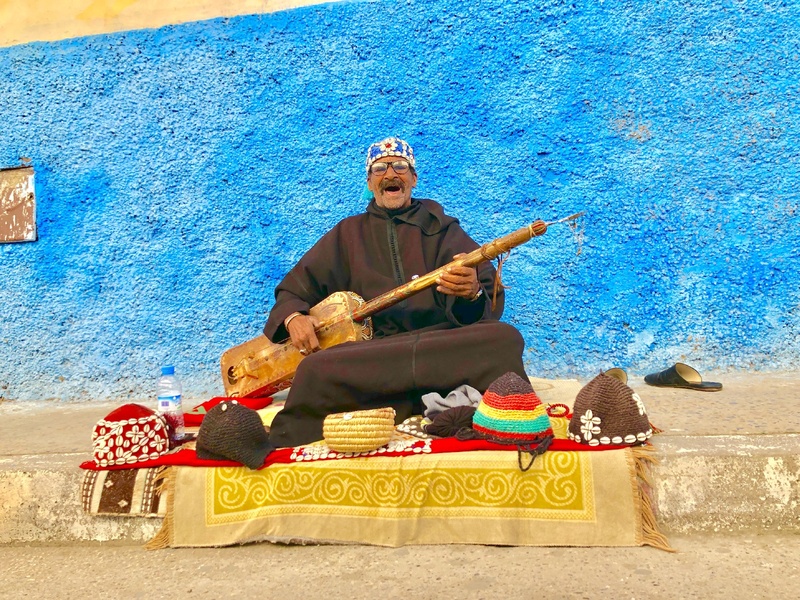 He first led me upstairs to a watch store, and then when it was apparent I wasn’t going to buy a timepiece, it was up some stairs and into another shop that sold traditional Moroccan art, including Berber rugs. The owner explained that a lot of the other stuff in the market was from China, but his stuff was authentic. He began to have his assistant unroll rugs and begin a grand presentation, and when he offered me to drink tea with him, I knew I had to get out of there! I told him I’d come back later with my wife, who was still at the hotel. (There is no wife by the way). He made me take his info, and then I got outta there–and the Medina–as quickly as I could, as if it were a burning building. It was obvious I wasn’t going to have any easy time window shopping here. RAMBLIN’ TIP: If you’re a guy traveling alone, you can always blame the fictitious wife…for anything! You have to “check with her first,” or she told you “not to buy anything else,” or she “wants me to wait for her,” etc. I joke and remind aggressive shopkeepers that, “she’s the boss,” and that usually does the trick. 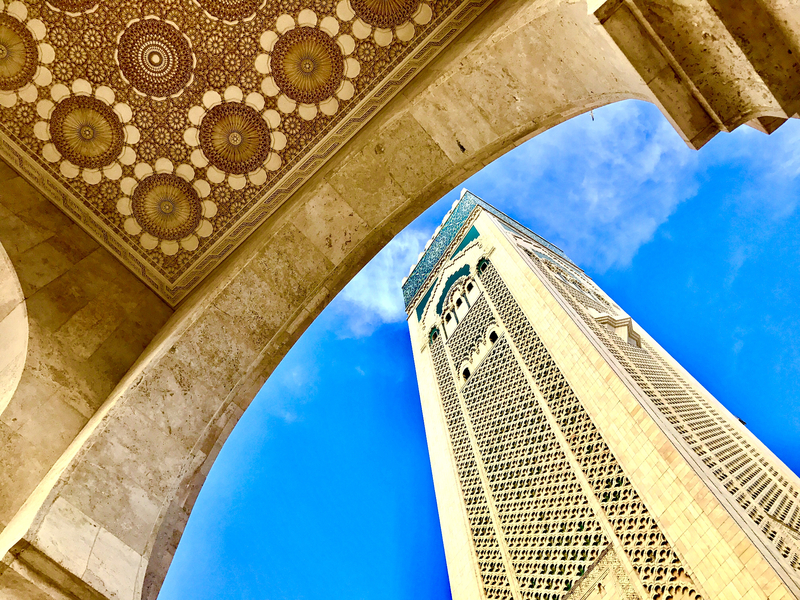 I rambled on for about 15 minutes until I reached the Hassan II Mosque. I turned the corner and saw it’s 689-foot tall minaret towering over the shoreline (tallest in the world, by way). It was massive. As I got closer, the detail came into focus. The mosque was truly magnificent. I spent a good forty minutes admiring the grounds, quite a work of art. Situated right on the sea, the sun gleamed off the tiles like gold. The breeze felt great and the sound of the waves crashing perfected the scene. 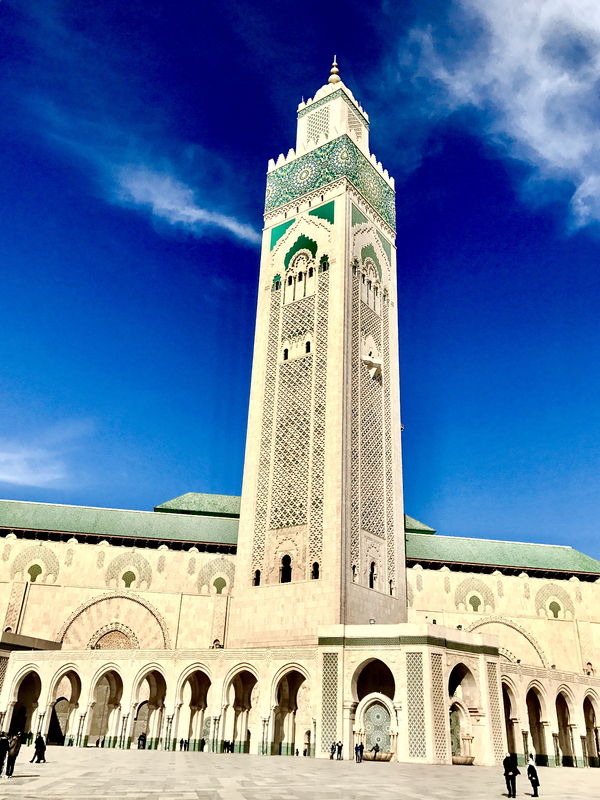 Hassan II Mosque, featuring the tallest minaret in the world. The sun made the mosque look golden. 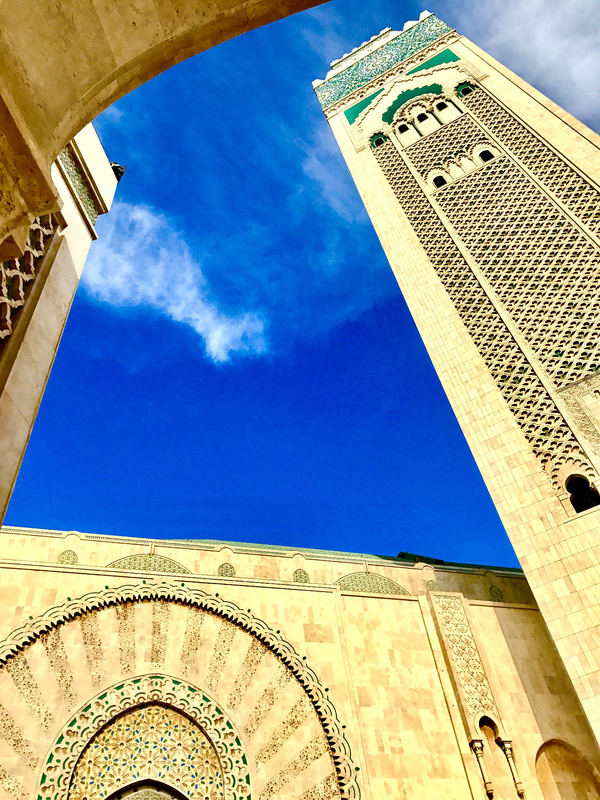 The mosque’s minaret towers 689 feet. A different view from every angle. Yeah, looking kinda wrecked after two weeks of extreme travel. I didn’t have anything else on my list for the rest of the afternoon, so I decided just to explore the city. My flight would leave at 8:45PM, and I’d made arrangement with my genie cab driver to be out in front of the hotel at 6 for a ride back to the airport. After over a week of being in countries where I couldn’t/shouldn’t wander freely, it felt so liberating to be able to walk around freely like a normal person. I stopped in for a really good coffee at one of the sidewalk cafés that looked like it was pretty much for locals only, my favorite kind of stops! I sat amongst the old men sipping my coffee and fired up the Facebook using the shop’s WiFi. A high school friend of mine on Facebook saw that I was in Morocco and commented on how excited she was that I was in her husband’s home country (shoutout to Stephanie, Poinciana High School!) 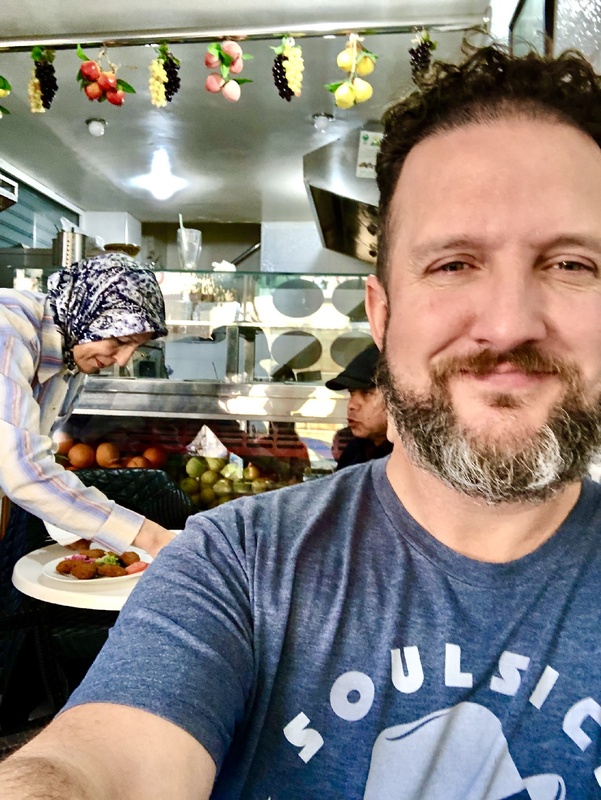 She mentioned I should get a hammam while I was in town—that’s a Turkish bath and a massage—and she didn’t have to tell me twice! 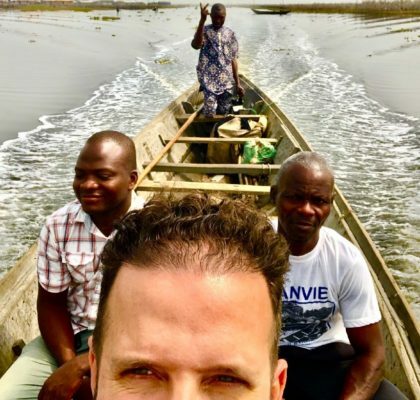 I was achy, sore and downright exhausted from the last 12 days of nothing but airplane after airplane; a rigorous travel schedule where I was averaging a new country every 1.5 days. A good massage was just what the doctor ordered right about now. And it included a bath? From a good looking (hopefully) young Turkish lady??? I’m in! 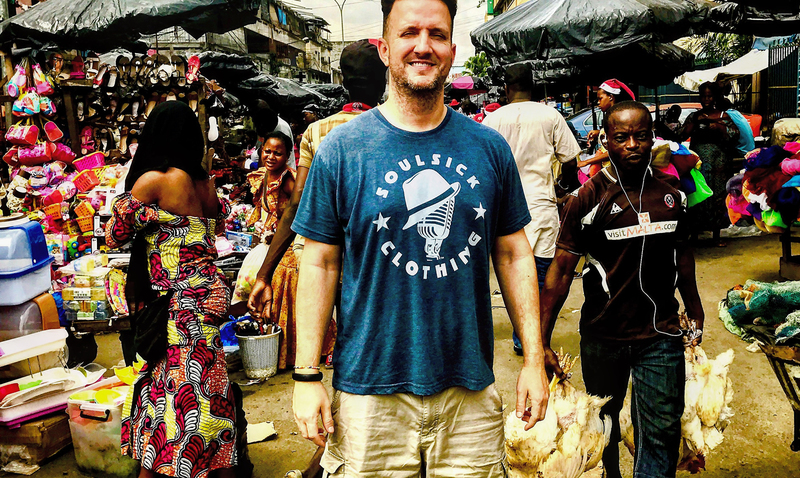 Plus, I’d trekked and trotted through some pretty nasty African slums the day before—a thorough scrub down couldn’t come at a better time! I picked the number one rated hammam on TripAdvisor: Hammam Istanbul, which was on the other side of town. I grabbed a cab and could barely control my excitement about what was soon to come. I was already a fan of massages in general, but the thought of laying back and having a mysterious Middle Eastern woman soap me up and rub me down really excited me. What a day this was shaping up to be! I arrived and ordered the “deluxe” package, which I only knew was deluxe because of the price and the long list of Arabic text underneath. If I’m gonna do it, I might as well go big! This was gonna be great! And then it happened, the man at the counter pointed to a sign that advised that all massages were performed by men. Awwww damn. For the next three and a half hours I went through a series of washes, scrubs, rinses and rub downs. I sat in a sauna for a while in between, and at one point was lathered up with a thick Eucalyptus gunk and then wrapped in plastic wrap. Had this been a woman doing all this, it probably would have been the best massage of my life, but instead it was a middle aged Turkish man wearing nothing but trunks. It was great, but at the same time awful. I’d just never had a man put his hands all over my bare body like that and it just felt weird. But no offense to the clinic, or the masseuse; he was indeed a master at his craft. When we were finally done (it seemed like he worked on me for hours), I was instructed to put on a robe and relax in a lounge chair. They had me remove my underwear, which was left on during the whole process, and they placed it in a plastic bag. It was soaking wet from the multiple showers and rinses. The gentlemen brought me bottled water first, and then hot mint tea. It really was spectacular service. I noticed it was getting dark and I soon found out that it was already 5:38PM–I was so late! I told them I had to go and sprung up out of the chair to change. I darted out the door and on to the street to hail a cab back to the hotel, underwear in-hand, free-balling it and everything. Only problem was, I couldn’t catch a cab to save my life! They were few and far between, and the ones that did stop gave me the finger wag when I told them I needed a ride to the Sheraton. This went on until well past 6PM. It was now dark, and I started to panic. I still had to get back to the hotel, grab my stuff and then get all the way back the airport, which wasn’t close to the city. I couldn’t miss my flight to Mauritania! It was the country I was most excited about seeing on this trip, and there weren’t flights there every day. After about 15 minutes standing out on the street with no luck, I was getting downright frantic. I ran back into the massage parlor and asked for their help getting a cab. One of the guys took me to a street on the opposite side of the shop and managed to get me in a cab pretty quick. Only one problem: traffic was virtually at a standstill now. I took out my iPhone and watched our GPS location, as we inched through the city at less than a crawl. It was rush hour in Morocco; I hadn’t accounted for this! I was so far away from my hotel and then even farther from the airport. I had made a monumental error and getting a massage (by a man nonetheless) was going to cause me to miss this flight! My cabbie was a trip. He was constantly laying on his barely functioning horn, honking at cars who themselves had nowhere to go. We also picked up people along the way, and soon had a car full of passengers. Every time my cabbie thought he was taking a shortcut by whipping around the corner or cutting through an alley, we were just met with even more traffic. It was now 6:30 and we weren’t even halfway to the hotel. My flight was at 8:45!!! As the meter approached $20 I became even more nervous. All I had left was a 20, and having to find an ATM to pay my taxi would just hold me up more. At the gate without a minute to spare! By the grace of God we arrived a few minutes later, the fare coming to just under twenty bucks. As I ran in the hotel, my genie cab driver from the morning shouted and waved to let me know he was there and waiting for me. I was 45 minutes late, and he was still there—I was no longer upset about the upcharge that morning. He had officially earned it. Getting to the airport was no easy task either, but the Genie was skilled. He was an expert at honking and flashing his lights, and weaved in and out of traffic with the skill of a Nascar driver. Sure, there were a few times I thought we might die, but we didn’t. He got me to the airport just in time to clear customs, go through security and plop down in seat 32F for the ride to Mauritania, free balls and everything. Hey, at least I was clean! Ever since I started traveling seriously, I’ve become so jealous of those who are actually getting paid to travel. Oh man, if only I could figure out that racket! I’ve been saving, sacrificing and spending my hard earned money to travel the globe while the guy across the aisle in the plane is getting his entire trip paid for by his company. I must figure this out! 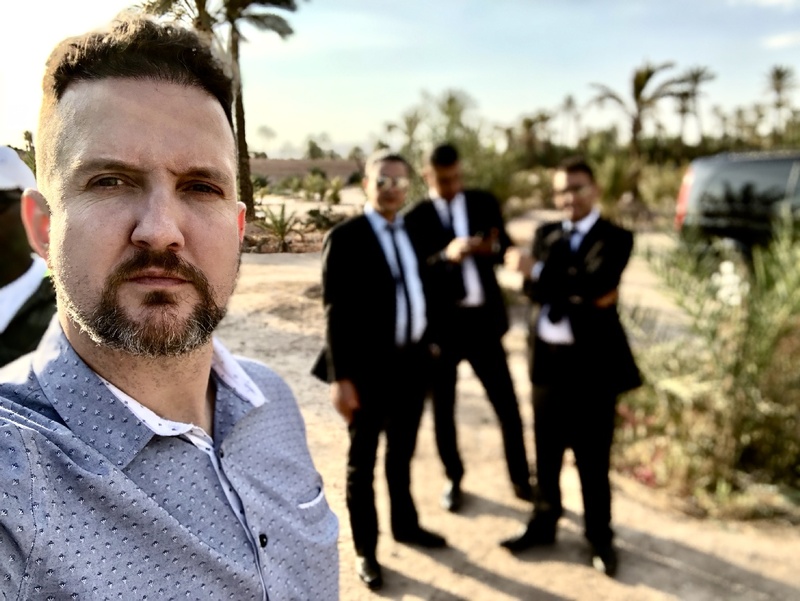 Finally, in June of 2018, I was that guy–the guy flying to Morocco in business class and checking into an amazing hotel, ordering food and drinks and even tours–and sending the bill to my boss. Wow! I’d dreamt of this moment for years! 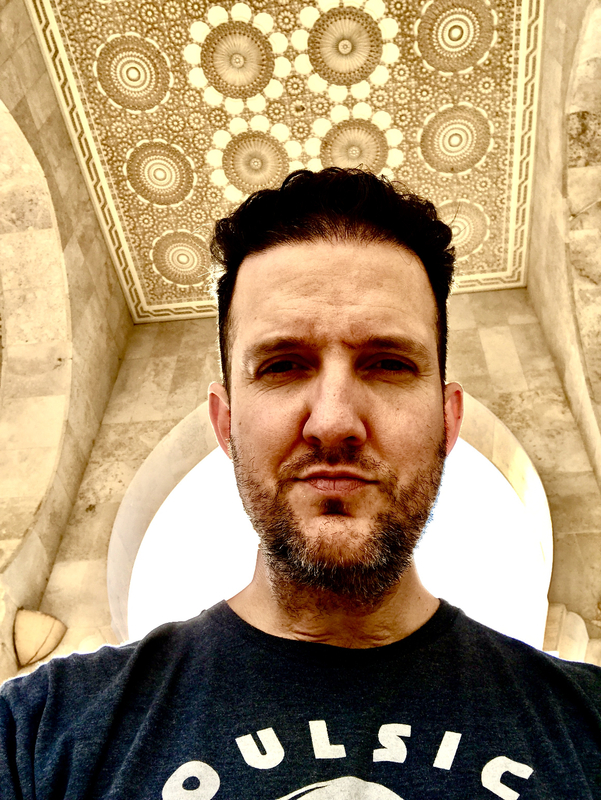 So how did I manage a trip to Morocco on the company dime? 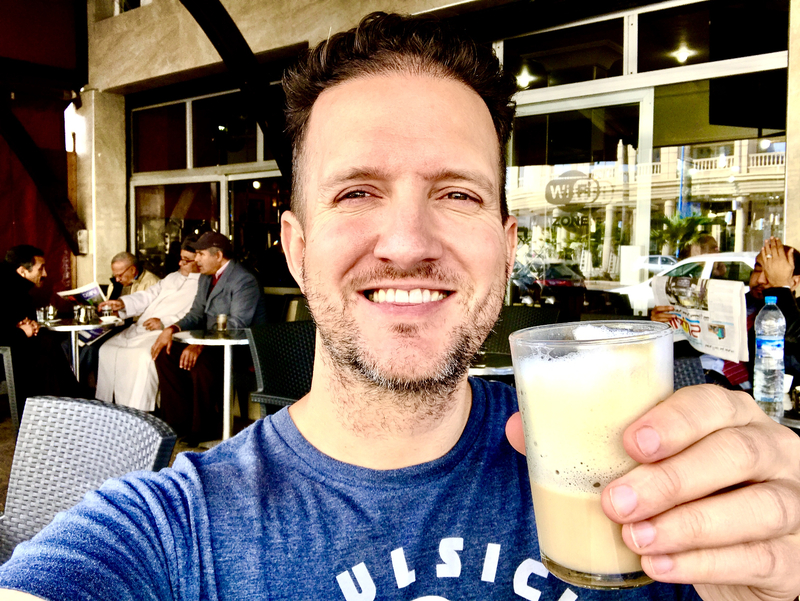 I’ve been in the radio business since I was 15 years old, and for the last seven years, I’ve been fortunate enough to work for a group of amazing radio stations. We do amazing things on the air and are encouraged to continue to execute everything we do, bigger and better each time, including our promotions and contests. Challenge accepted. #Epic48Hours is a radio contest where one winner and their guest are chosen to embark on the most amazing 48-hour journey of their lives. We literally knock on their front door, and they have just 30 seconds to grab their bag and leave with us. There are three rules and one guarantee: 1. Be willing to go anywhere. 2. Be willing to do anything. 3. Be ready to leave at a moment’s notice. The first three #Epic48Hours experiences have included private planes, aircraft carriers, helicopters, cliffside mansions overlooking the ocean, the Super Bowl and lots of celebrities. From Lady Gaga to Pitbull, part of #Epic48Hours includes money-can’t-buy experiences, like hanging with Gaga immediately after she gets off stage at Super Bowl LI. 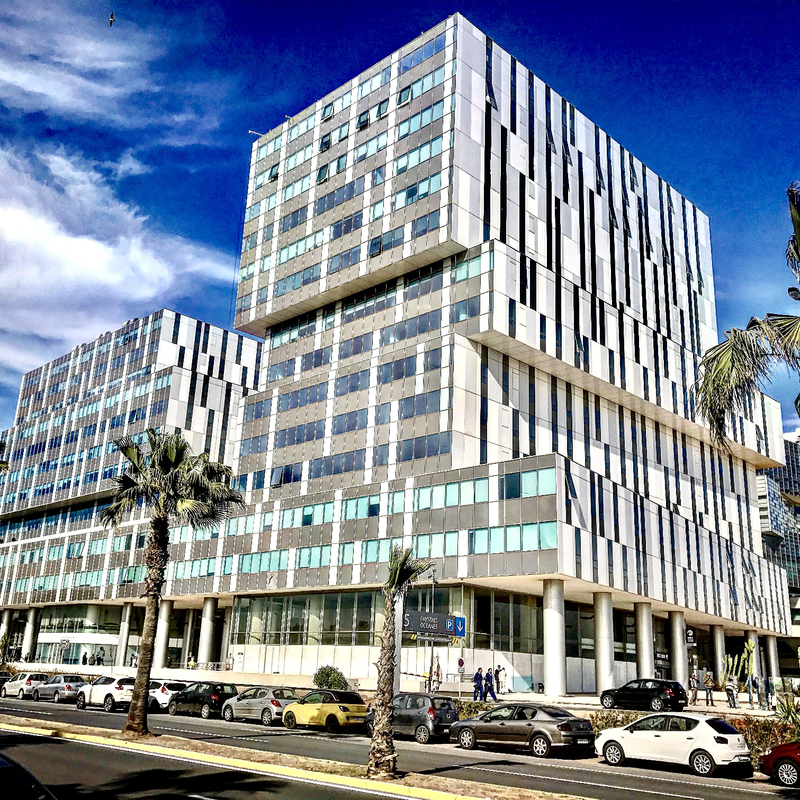 #Epic48Hours 4.0 would be the biggest one yet, and include, you guessed it: Morocco. And guess who’d have to attend to the trip to “make sure everything went as planned.” Yeah, lil’ ole me. I guess I could sacrifice for the team. 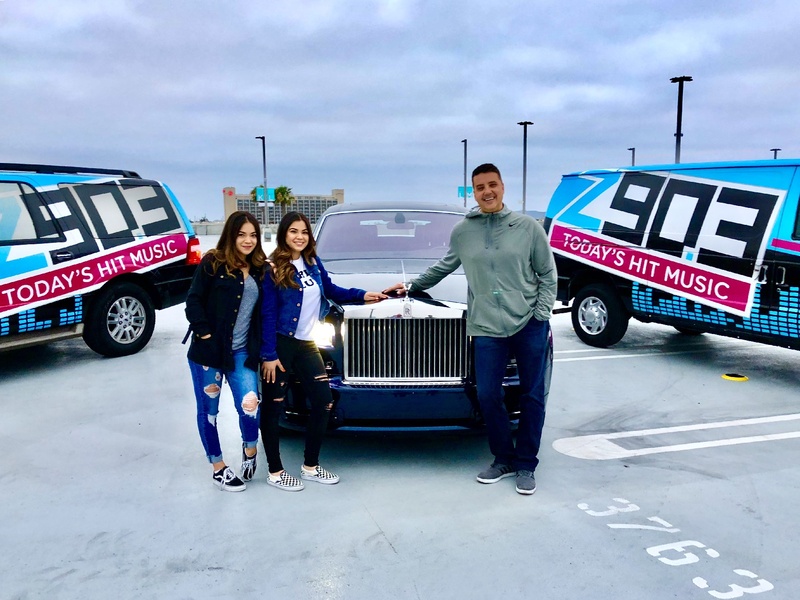 #Epic48Hours 4.0 winners Karla and Karinna, with Z90’s Rick Morton. 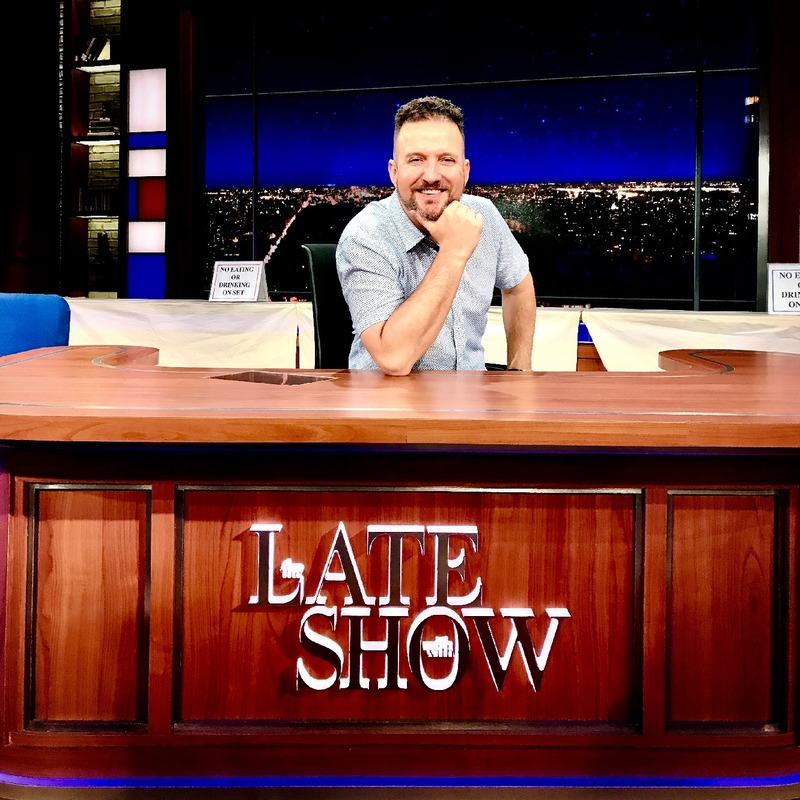 The first stop on #Epic48Hours 4.0 was New York City, where our winners made a cameo on The Late Show. 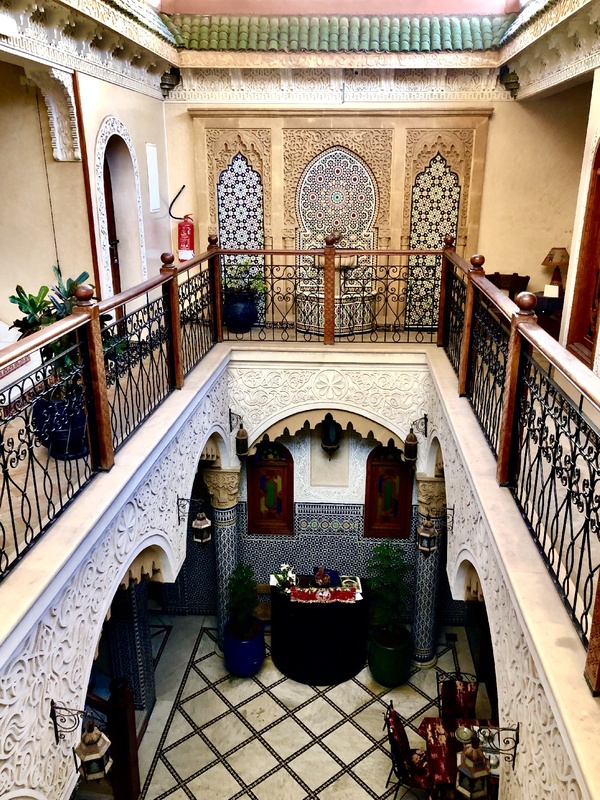 Our accommodations was the nicest place I will ever stay at in my entire life: We all had our own mini-palace at The Royal Mansour in Marrakesh. Our winners even starred in a Samantha J music video. The coup de grâce: V.I.P. 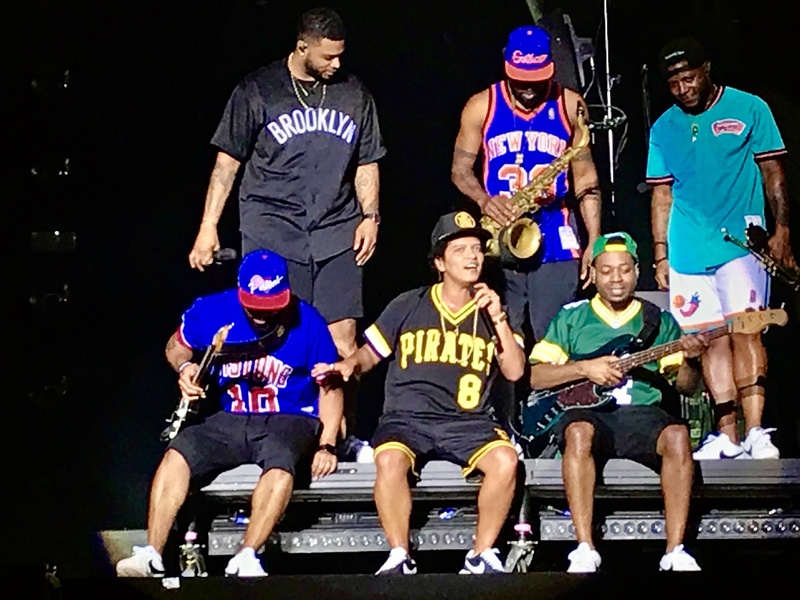 and front row at Bruno Mars in Rabat for the Mawazine Music Festival. That was pretty Epic, right? I was lucky enough to be able to help plan the whole promotion and be there behind the scenes making sure the girls were having an Epic time every minute of their journey. It was a lot of work, with stress that took a few years off of my life, but it was so worth it! You can see our other three #Epic48Hours trips HERE. They are all so very different and awesome see unfold. 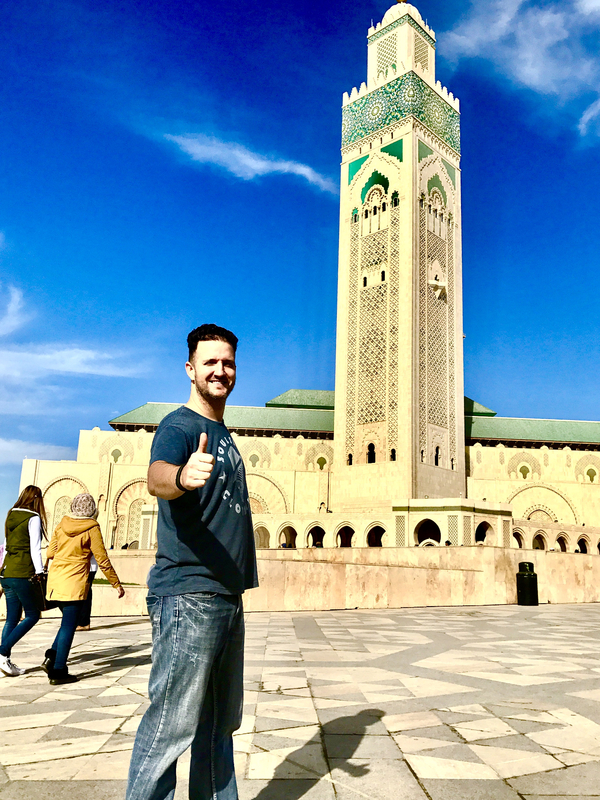 Somehow Morocco ended up sucking me back in for my third trip in two years! It’s how I would finish up the African continent on an insane three-week, 16-country end of year trip. My flight home was through Madrid, and I thought it would just be super cool to head North through Morocco to cross the straight of Gibraltar into Spain. I’ve never done this before, and thankfully the routes on this complicated travel jigsaw puzzle fit together perfectly. I had a rip-roaring time touring all over Africa before arriving in Casablanca for my last two days on the continent. 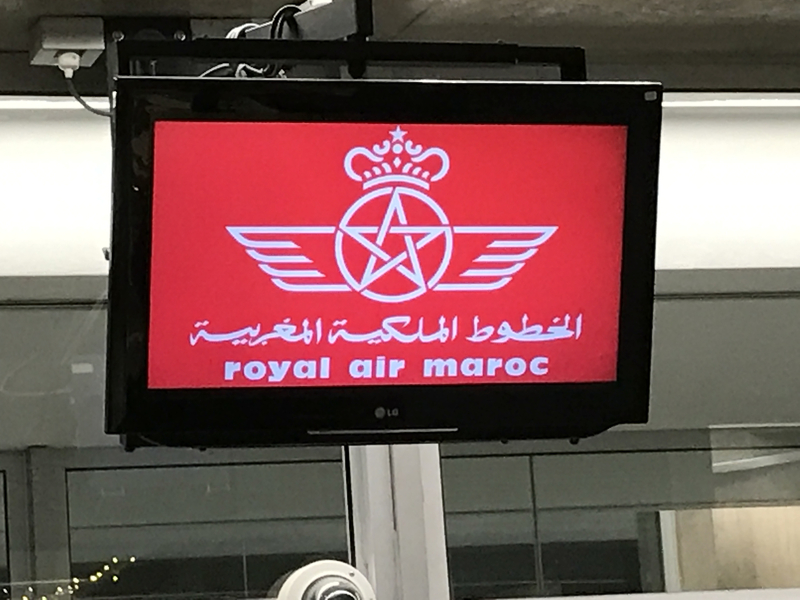 I landed at 6AM via Royal Air Maroc from Niger. I’d tried to pack in as much sleep as I could the day before, so I’d be able to stay awake and enjoy my only day in Rabat. My driver and tour guide was a familiar face. Fatima had worked on the #Epic48Hours promotion with us back in July. She’s Moroccan and was a wonderful guide then and would treat me to an awesome experience this time as well. This would my very own personal #Epic48Hours in Morocco. Nothing like a 3:15AM flight! We arrived in Rabat just after sunup for coffee and Moroccan pastries at Miam Bakery. It was fantastic. 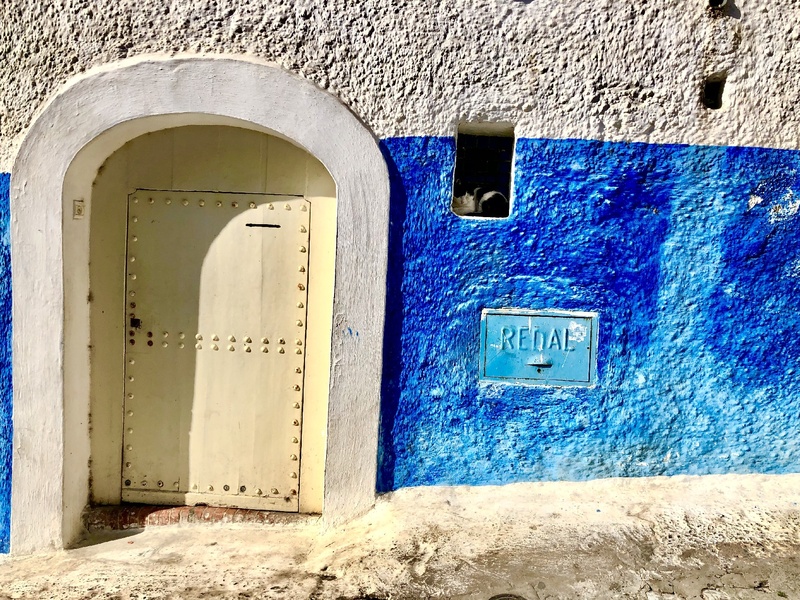 After the eats, I dropped my bags at my riad (guesthouse) and then we headed for a walk through Rabat’s Kasbah des Oudaias. This UNESCO World Heritage Site is an incredible neighborhood dating back to the twelfth century. 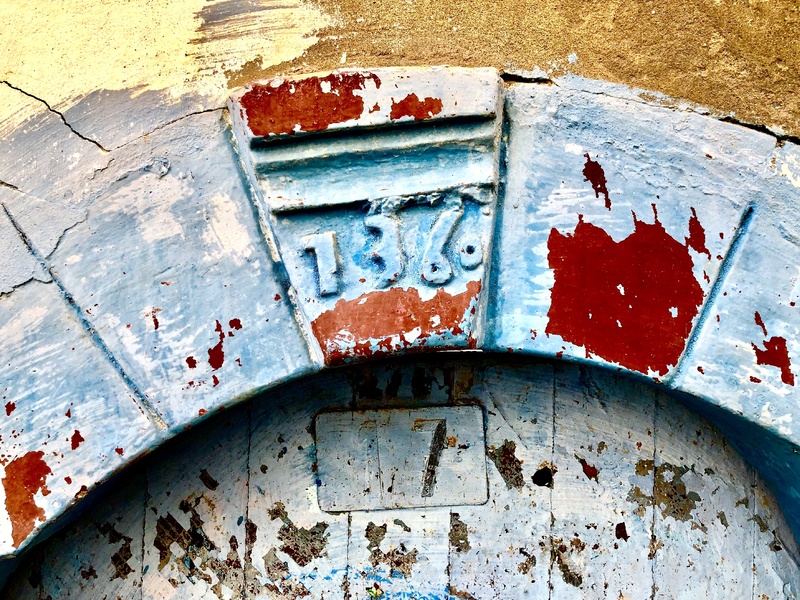 The blue and white ancient buildings–still lived in by local residents–were the topics of many books. The neighborhood was just magical; the weather was perfect, the company was impeccable. We ended our exploration with some of that fantastic Moroccan mint tea at a small cafe over looking the Bou Regreg River. 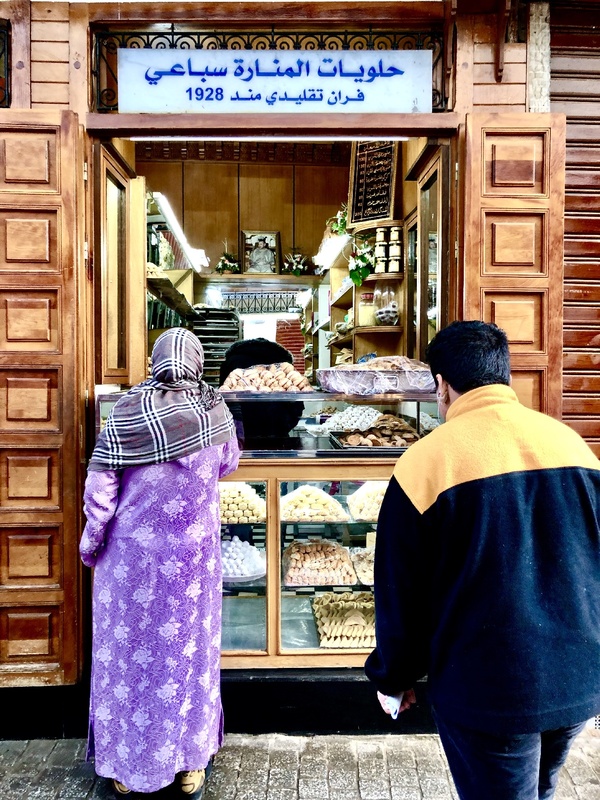 Young men approached us and other patrons with trays of fresh baked Moroccan cookies, but I didn’t have any room in my stomach to spare. And I rarely say no to a cookie. 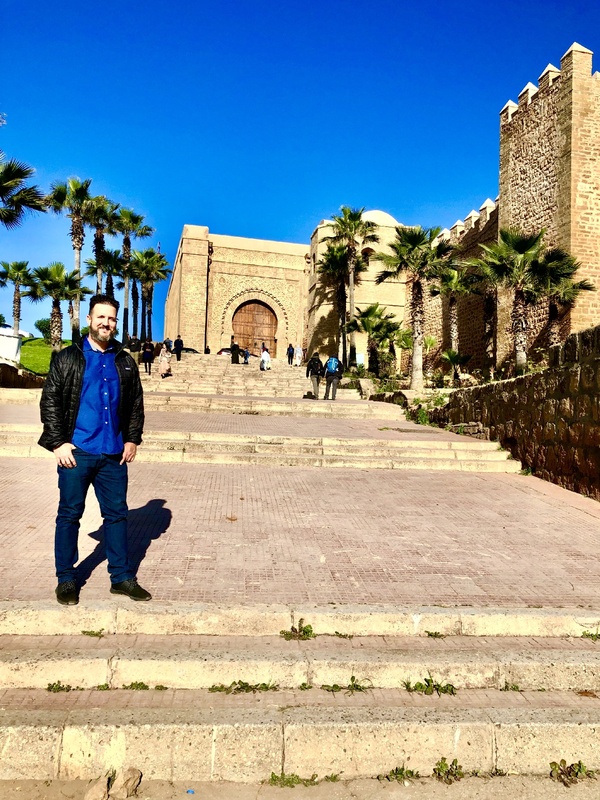 Entrance to Kasbah des Oudaias…my first visit! Blue and white, winding corridors. Endless alleys and a sky-blue backdrop. Next up, it was an afternoon stroll through the ancient site of Chellah. We walked the grounds of this medieval complex, ducking in and out of the ruins, in between crumbling pillars and up and down stone pathways. There was a lot of history here and lots of cats! We were trying hard to work off all the giant breakfast we ate just a few hours ago, but it seemed like our attempts were futile. We needed to make room for lunch! The ancient ruins of Chellah. It was another meal of sampling lots of Moroccan specialties at Zayyane in Rabat. The meal was great, but sealed the deal on my food coma. Huge breakfast, lots of lunch…it was late afternoon now and I needed a nap if I wanted to be of any value for the nighttime. It was back to my riad to finish check-in and try and grab some Zs. 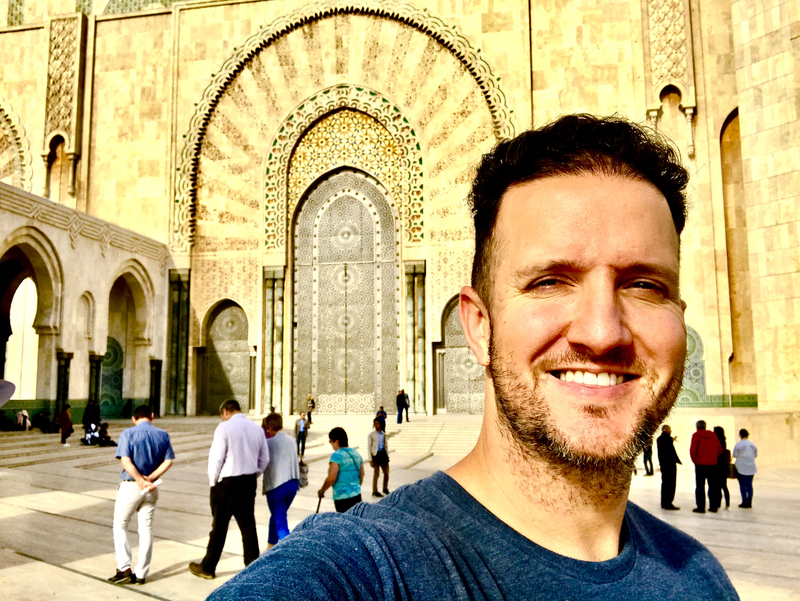 On my last trip to Morocco, I was introduced and became mesmerized by the medinas (old walled city center) in both Marrakesh and Rabat. 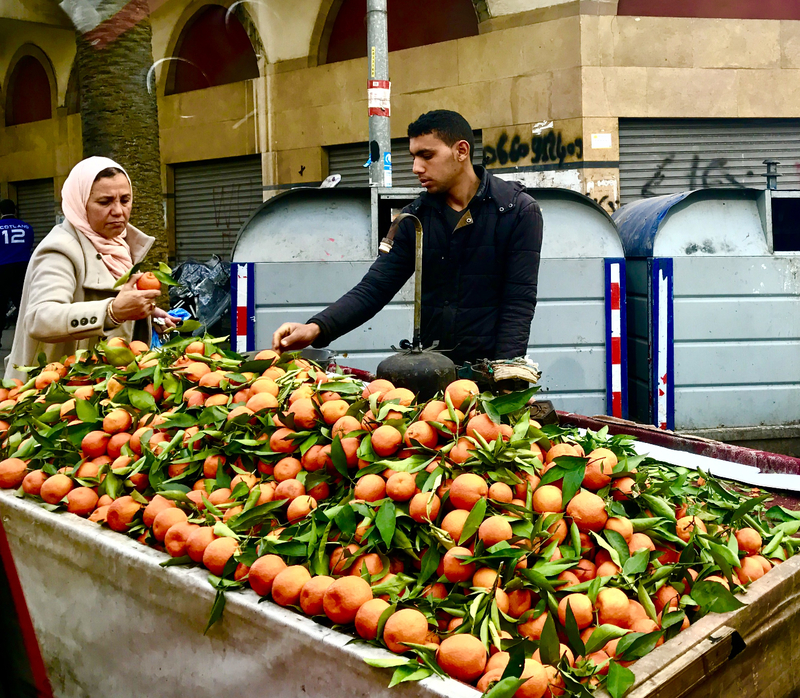 The medina was the beating heart and soul of the city–my favorite part–and I promised myself that if I visited again, I’d book a room inside the medina. 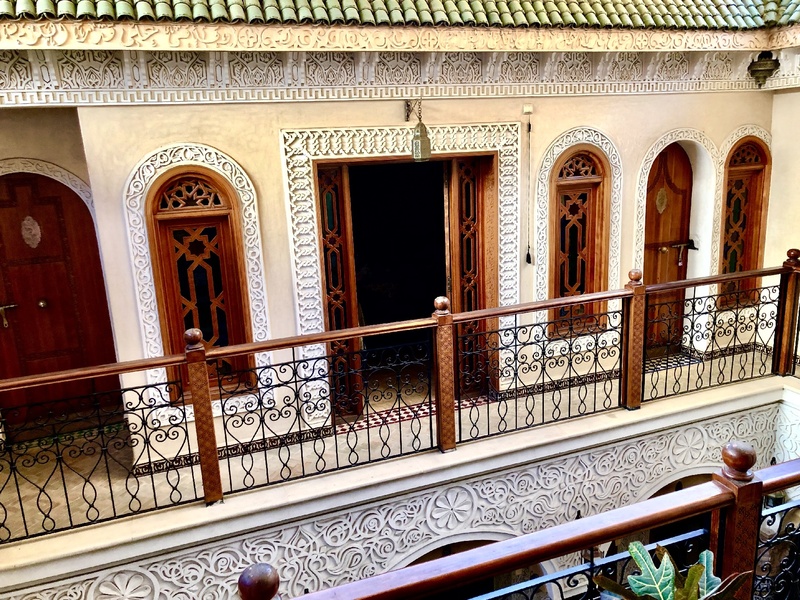 All of the big chain hotels are on the outside, most miles away–but I’d noticed that there were guesthouses (or riads) for rent, inside the medina, right there, where all the action was happening. 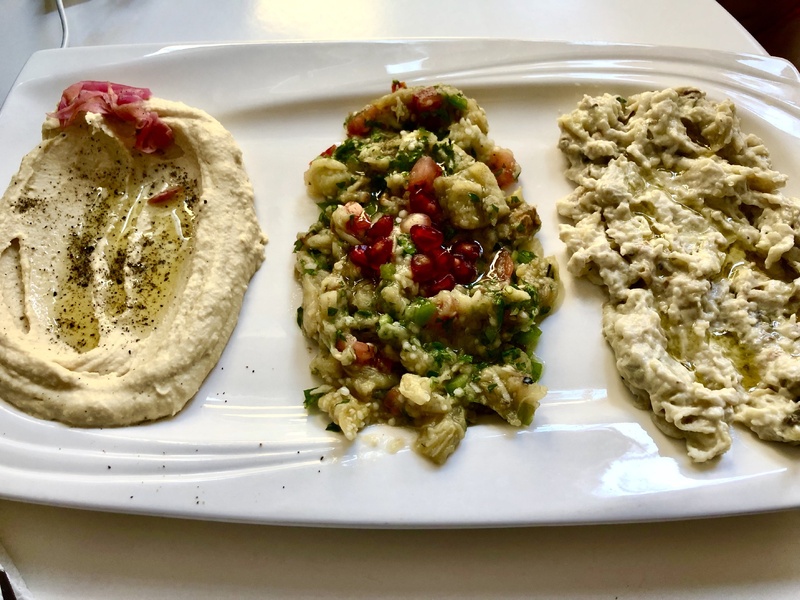 I actually had trouble choosing one online, they all were so unique and interesting in their own ways, but I settled on Riad Sidi Fatah, and it proved to be a great choice. 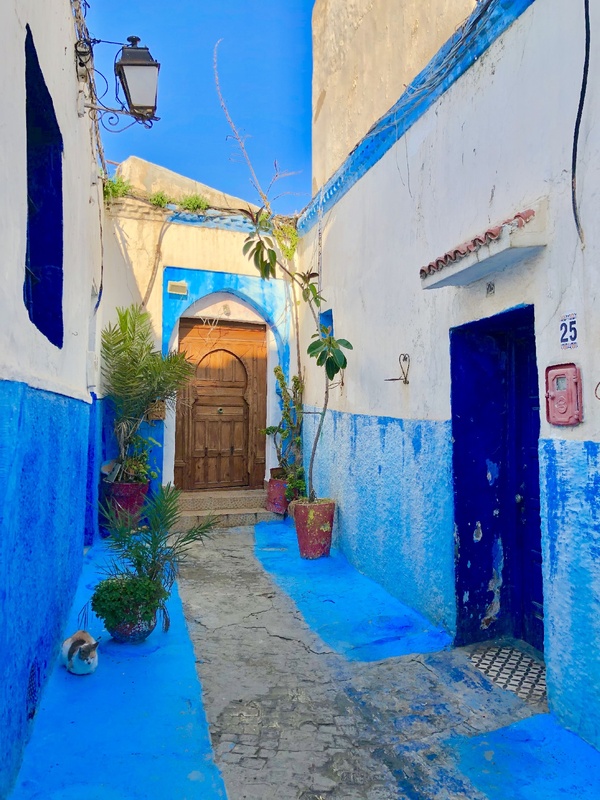 RAMBLIN’ TIP: Book a room in the medina! This goes for any Middle Eastern country you visit. 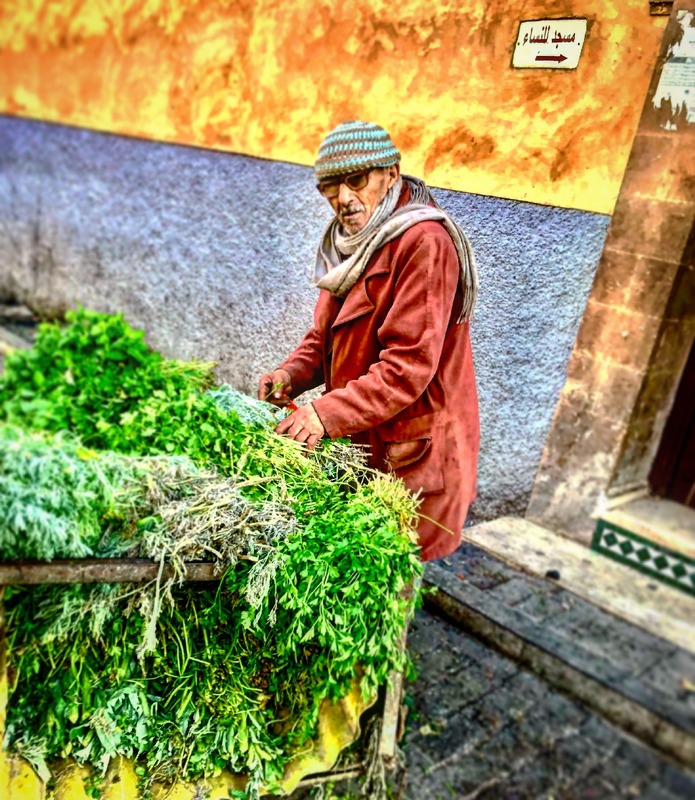 The medina is simply magical and you can spend days just wandering the corridors of these old walled cities. Feel free to use my booking.com referral link, HERE. Inside: ornate décor; lots of tile, color, moldings. Though the medina was busy, bustling and extremely noisy, you’d never know it inside the riad, where it was as quiet as a Buddhist library. I drew the curtains, jumped into the big fluffy bed and soon fell into a deep slumber. 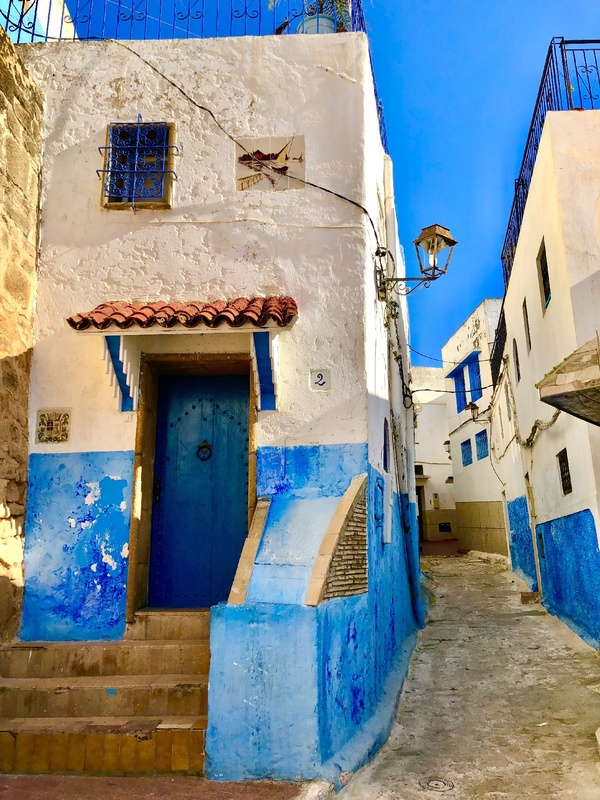 The thick walls of the Riad Sidi Fatah weren’t dense enough to muffle the adhan (call to prayer), but I needed to wake up anyway. Too full for dinner, I resigned myself to drinks with Fatima inside a boat turned restaurant/bar called Le Dhow. Moored on the Bouregreg Marina, the 50-meter long wooden boat had a restaurant up top and a bar down below, which by 9PM was filled with the young, twenty-something party people of Rabat, enjoying drinks, cigarettes and loud hip-hop music. Word was there would be karaoke later that night, but I didn’t stick around to find out. I had a big day tomorrow and found myself back in bed by 11PM. I’m so old! 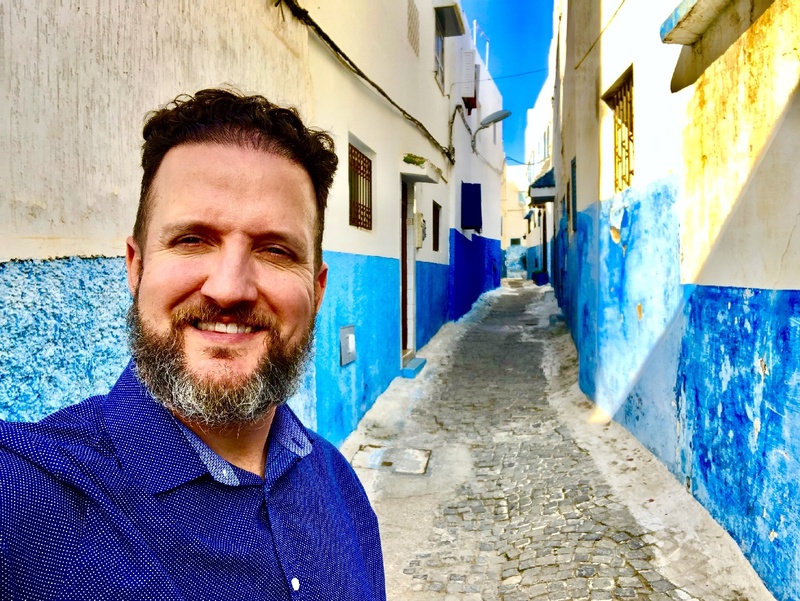 I woke with enough time to wander the medina before my meeting time with Fatima, so I took the liberty of doing just that. 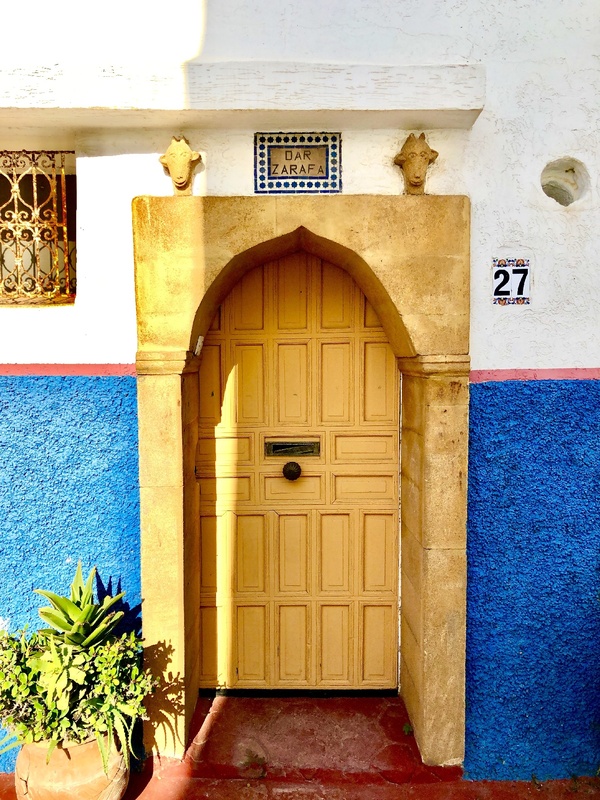 The riad fed me well and I was soon out the door, getting lost in the labyrinth that was the Rabat medina. I’d beat the city to getting up, and passed by many stalls that were closed or just opening up. It was fun to witness the medina come alive, stall by stall. A famous bakery open for breakfast. 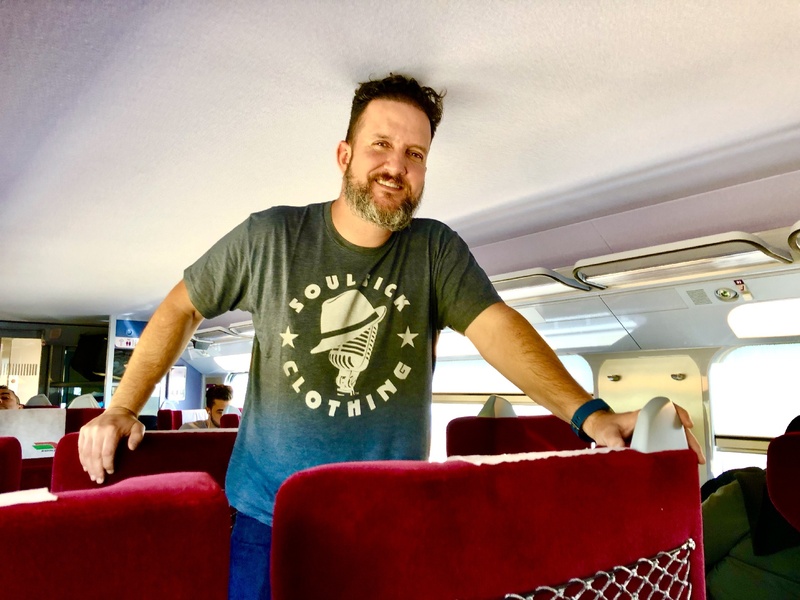 This entire trip was filled with so many wonderful coincidences, including the fact that a brand new, high-speed train from Casablanca to Tangier had just commenced operations. Africa‘s first high-speed rail, Al Boraq, was inaugurated just weeks earlier, on November 15th. This turned the standard three-hour road trip into an hour and twenty minute comfy glide across the desert. How lucky was I?! The trip was relaxing and smooth with great scenery the entire way. Honestly, I wouldn’t even have minded if the train ride was twice as long. I really enjoyed the ride. Aboard Al Boraq; the train is named after a mythical winged creature that transported the prophets. We have arrived in Tangier! It took me a whopping 2.5 seconds to appreciate Tangier. I was in love with the city before the train even stopped. I wanted to spend a week here. 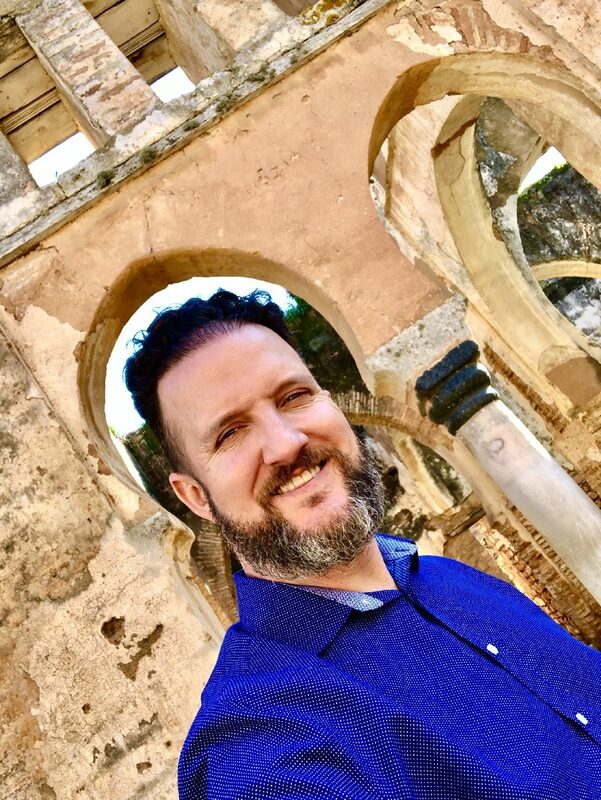 Sadly, my time in Tangier would be limited to just a couple of hours, but as always, I’d make the most of it. Tangier was stunning in every way. The sun was already setting. The streets were packed with cars and pedestrians. The vibe was electric, the skies were blue and the water down below shimmered until it collided with the horizon. 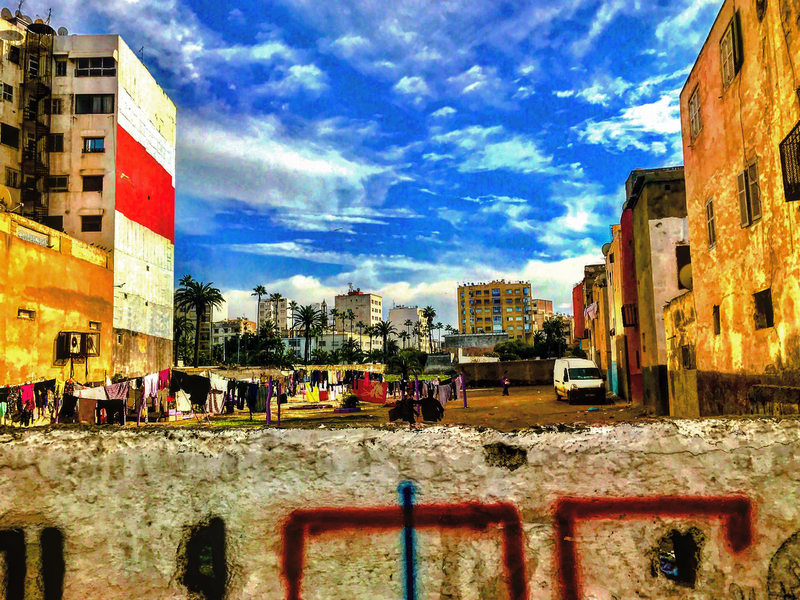 Tangier made me feel great–but sad at the same time, because I knew it would be soon time to say goodbye. 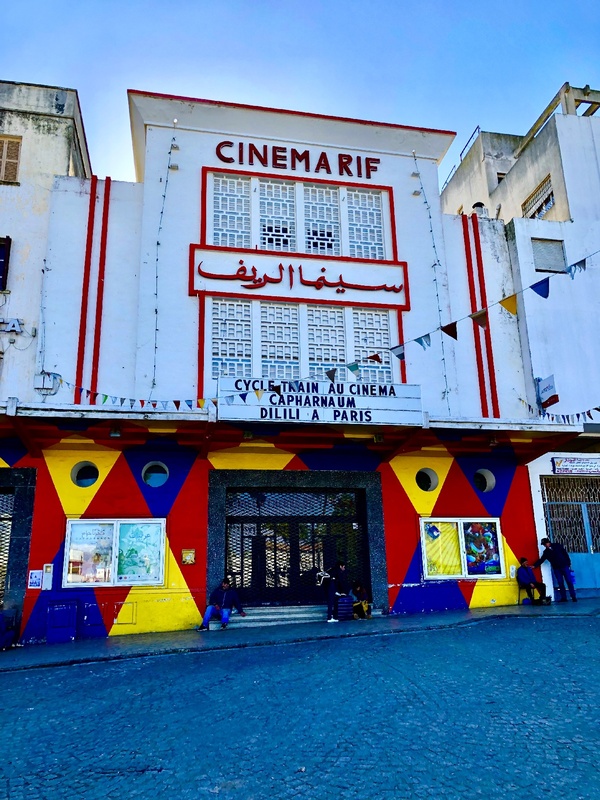 Cinema Rif was built in 1938. 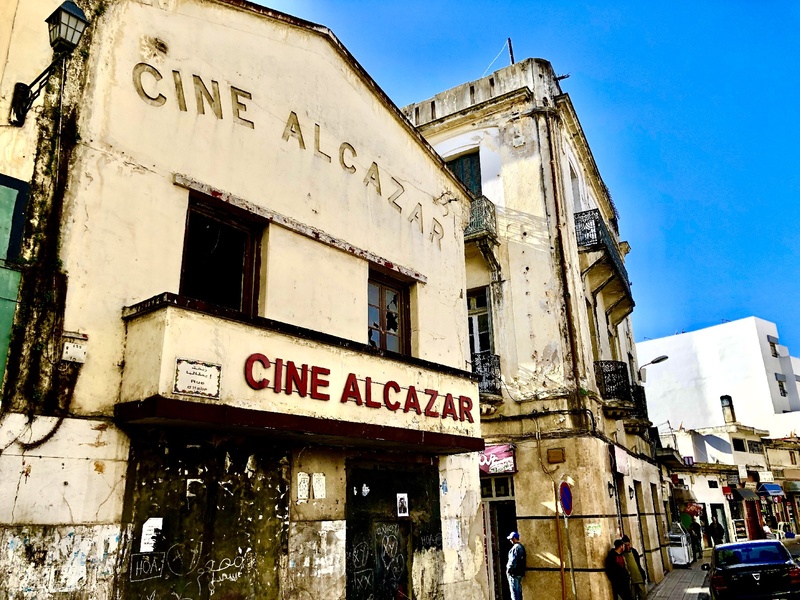 And Cine Alcazar was constructed in 1913! Syria is a country high on my list to visit. No, seriously. If you’re new to this blog, you may not know that it’s the harder-to-visit countries that really float my boat. Libya, Somalia and Venezuela have been some of my favorites. Yemen and Syria are at the top of my still “to-see” list. In fact, I’d actually planned to see Syria on this very trip, but getting a visa at the time (and still today) proved impossible. I’d have to wait. So when I stumbled upon this little Syrian hole in the wall, I took it as a sign. 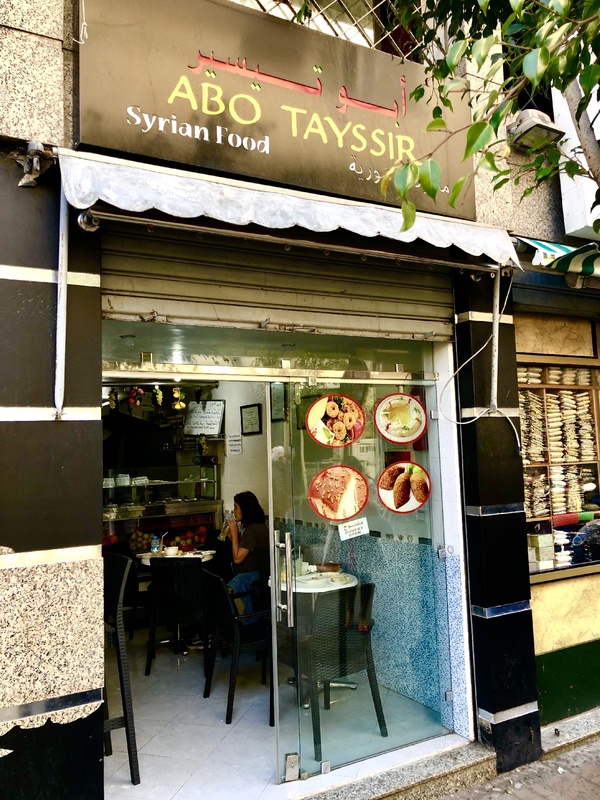 If I couldn’t visit Syria this time around, I could at least eat their food. Abo Tayssir was such an unexpected treat. The food was superb and the Syrian family serving the meals were really nice to talk to. Did I mention the food was awesome? It really was. Total score. 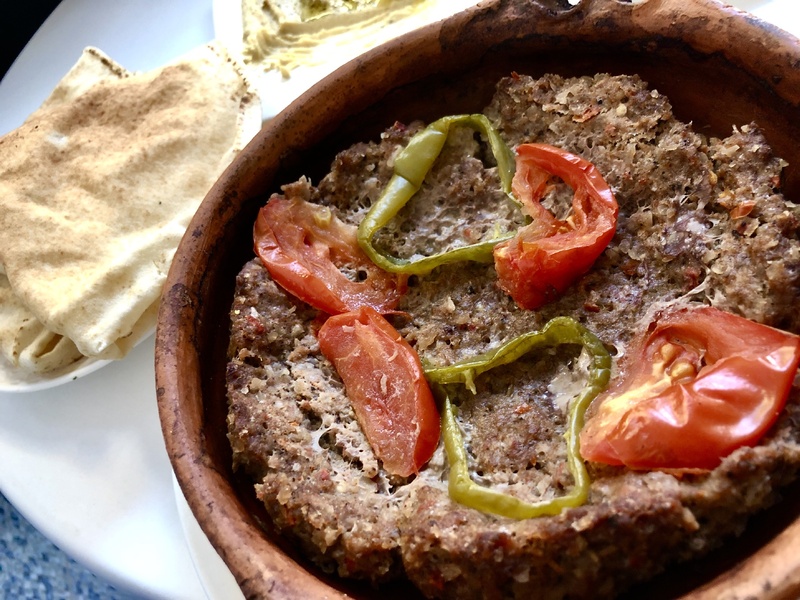 Who knew Syrian food was this delicious? Awaiting my last meal in one of my favorite stops. This was some sort of ground beef dish that was just exquisite. 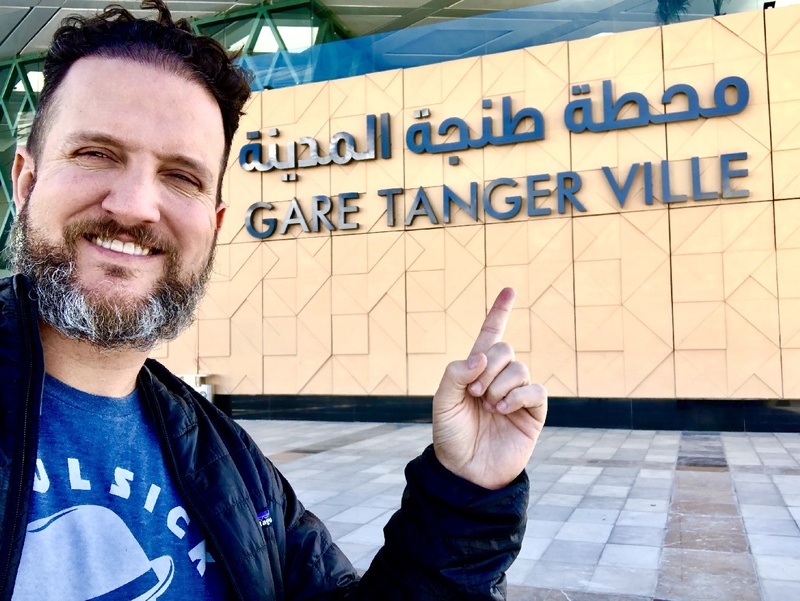 Ahhh, if there was any time and place in my traveling career I wanted to stay somewhere longer, it was Tangier, now, at this very moment. But the sun was setting and I needed to ramble on if I was going to get to Ceuta by sunset. By the time I finished reading I was worn out! 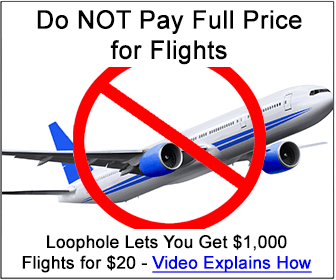 Your method of extreme layovers is quite interesting. What criteria do you use in order to determine which countries will be visited during an extreme layover and which ones will be given a 24 – 48 hour visit? Really, I guess I just define it as a layover where you actually leave the airport and do stuff! No matter the time frame…but on the same ticket. Fair enough. Wasn’t certain if you have specific factors that you stick with to a T. For example, any country that is extremely small (or borders along the sides of a Micronation) are ones that you would automatically target for extreme layover visits (or 24 hour visits). Countries like Qatar, United Arab Emirates, Singapore, and Bahrain, for example. Otherwise, I would automatically assume that countries that are historically unstable (have on going stability/war zone conflict issues) would be the only other time you would apply an extreme layover visit (e.g. Libya, Syria, Democratic Republic of Congo, Angola, Yemen). 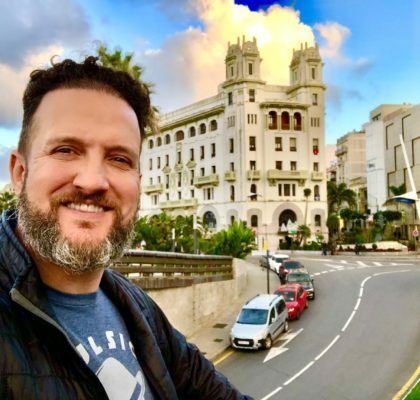 That’s why when you do extreme layover visits in places, like Morocco, I am actually surprised as I figured you would want at least 48 hours to see as much as you can. 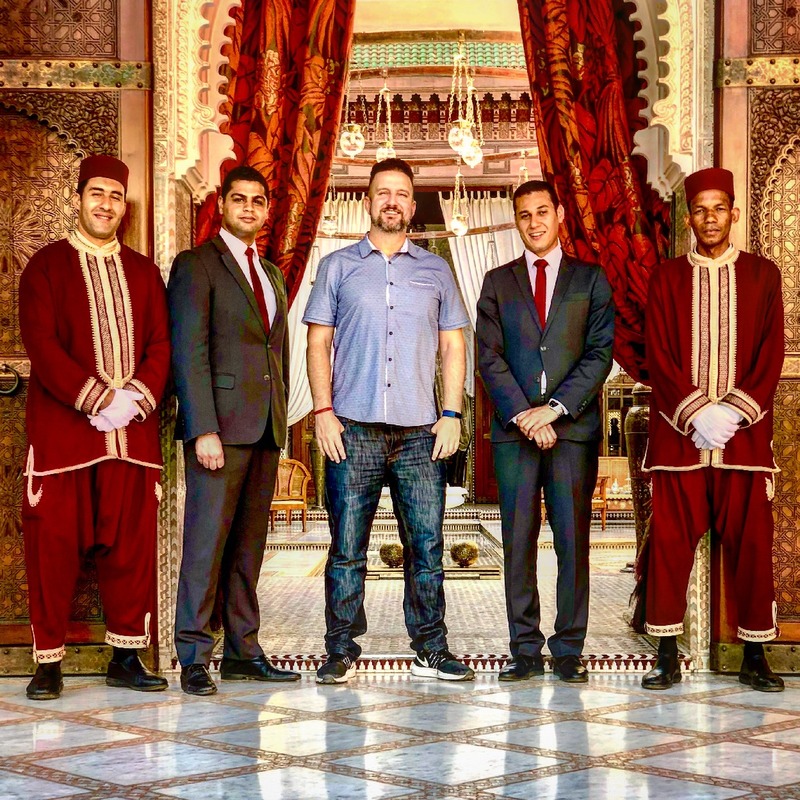 Unless you are 100% confident that you’ll be returning to Morocco for a more in-depth visit in the future and thus were okay with just a slight taste this time around? Haha! Need comments for visits #2 and #3 please!